Recently entered the All-time Top 20 on most charted artists of resident Advisor. 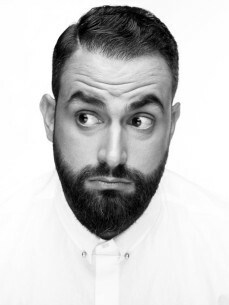 Mihalis Safras has a long history in the electronic music scene over the course of the last decade he has tirelessly established himself as one of the most hard working artists, appearing on at least a dozen of vinyls per year. The calibre of Mihalis’s studio output uniquely fall’s in‐between these two and since his early studio outputs, his elongated, aching yet versatile and percussive tech-house tracks have made their way onto the celebrated labels of Toolroom, Great Stuff, Soma, Trapez, Saved and offcourse Material. While having remixed a variety of well known artists like: Dubfire, Mark Broom, Gregor Tresher, Mihalis has exercised room‐filling soundscapes determined and driving techno combined with the most moving of musical melodies. Worth mentioning that many of his productions have been used for the official worlds famous complications of Loveparade, Pacha, DJM, Space Ibiza. As mastermind being the Material Series and Saf Series releases, his unrestricted and creative productions has appeared alongside an impressive list of artists including Sven Vath, Carl Cox, Richie Hawtin and many more not to mention producing the massive release 'La Samba' that has burned Ibiza floors and has since been licensed for an Apple iPhone campaign.Both in the studio and in the DJ booth Mihalis demonstrates the natural absorbed characteristics of one of the leading underground techno talents. Furthmore as from 2011, Mihalis started writting reviews and articles for various music Magazines worldwide like M&L, Freeze. Furthmore as from 2011, Mihalis started writting reviews and articles for various music Magazines worldwide. Mihalis is a natural and perfected DJ capable of playing with the whole spectrum of style, and sets featuring a magical liquid that enhances the power and impact of music as seen through his mixed CD sessions. Nowhere else is this attitude more evident than the expansion of its network that are now streaming across the globe.